Maruti Suzuki launched the facelifted version of the Baleno premium hatchback only recently. The deliveries of the new Baleno has started already and units have started reaching the dealerships. 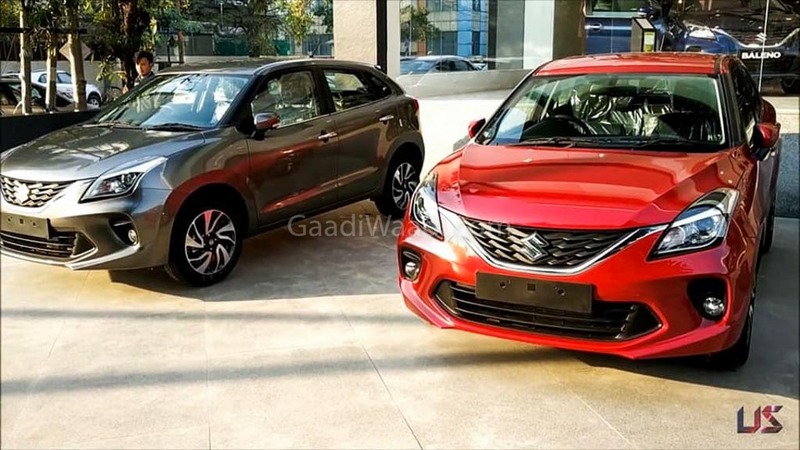 Here are the pictures of the 2019 Maruti Suzuki Baleno in Phoenix Red colour at one of the dealerships in India. The pictures show the Delta variant of the Baleno, which is the one level above the base Sigma variant. The pictures show the vehicle’s exteriors and interiors in details. The Delta manual petrol variant is priced at Rs. 6.16 lakh while the diesel manual is priced at Rs. 7.31 lakh. The 2019 Baleno Delta is also available with a CVT automatic transmission and it is priced at Rs. 7.48 lakh. 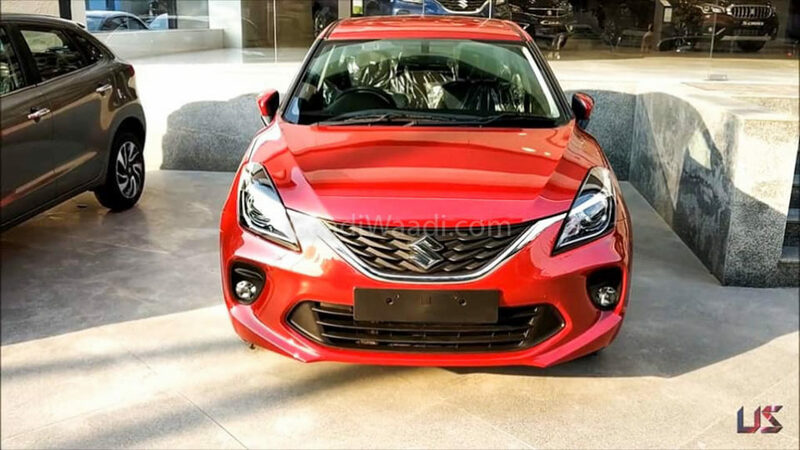 The 2019 Baleno gets changes like the new front 3D grille, new alloy wheels, new bumpers and changes in the interiors like new display for the AC unit and new dual-tone seat fabric. The Delta version gets a long list of equipment that includes LED projector headlamps, electrically controlled outside rear view mirrors, wheel covers on steel rims, 2-DIN audio system, steering-mounted audio controls, automatic climate control, rear adjustable headrests, 60:40 split seats, powered windows in all four doors, rear washer with wiper and defogger, auto up and anti-pinch driver seat and keyless entry. The top-end version of the 2019 Maruti Suzuki Baleno also gets dual-tone interiors and a new Smartplay Studio infotainment system that gets a new user interface. All the variants of the 2019 Maruti Suzuki Baleno are offered with ABS+EBD, Brake Assist, Dual front airbags, pre-tensioner and force limiter seat belts, front seat belt reminder, ISOFIX hooks for child seats, speed warning and rear parking sensors as standard. The engine options remain unchanged. There is a 1.2-litre petrol engine that develops a maximum power of 82 bhp and a peak torque of 115 Nm. The 1.3-litre diesel engine develops a maximum of 74 bhp and a peak torque of 190 Nm.